This "Historically Speaking" column appeared in the Exeter News-Letter on Tuesday, July 24, 2012. 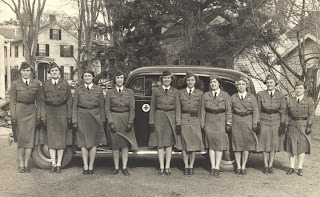 In November of 1940, over a year before the United States got involved in World War II, a group of Exeter women met to form a branch of the American Red Cross Motor Corps. 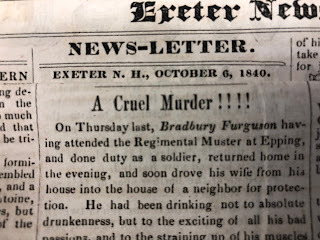 Most were the middle-aged spouses of Phillips Exeter Academy instructors, and a few were town society ladies. None of them seemed at the time to be the type who would take up emergency and convoy driving, but as the war loomed and news of air attacks on London filtered into town, these were unusual times. 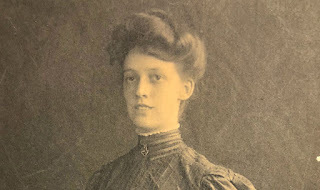 Helen Stuckey would later recall that the motor corps was perfect for those, “who wanted to do something for the war effort besides taking First Aid courses, rolling bandages, knitting, and packing Bundles for Britain at Olive Otis’s house.” The Motor Corps purpose, according to the by-laws in Exeter, was to “furnish efficient transportation whenever or wherever it is needed in Red Cross work. Also to furnish authorized transportation for welfare cases. Active members were on-call all the time to Red Cross officials or local doctors. Participants could also choose to join as reserve members, who filled in as substitutes for the active members. Fourteen women signed up immediately and began training in earnest. By January of 1941, the corps was ready for active duty and more intensive drills. They submitted to written tests, physical exams and finally driving drills. Stuckey remembered, “we went to the Academy cage. Barrels had been put up about a car length apart. We practiced parallel parking, we moved in and out of the barrels, stopping at a whistle, reaction time measured, all this has stood us in good stead over the years.” All this took place during a time period when it was generally believed that women were by nature poor drivers. The Red Cross Motor Corps would help dispel some of this belief. The Motor Corps served in various capacities during the war – with gasoline and rubber rationed, having available transportation was invaluable for both servicemen and their families. The News-Letter reported in 1943, that the “Motor Corps has driven 18,824 miles, put in 16,934 hours, taken 1,339 trips; this is a daily average of about three hours’ time and 20 miles’ driving. Motor Corps has driven for the following: Pre-school dental clinics, Boston Children’s Hospital, Manchester Clinics, Mitchell Hospital, Blood Donor trips, nutrition classes, observation posts, Burlingame block fire, Production, Canteen, RC War Fund, housing survey, lost blueberry picker, first aid courses, Camp and Hospital Council meetings, Portsmouth Naval Hospital clinics, Nurse’s Aides, Junior Red Cross book and scrap collections, Home Service, Selective Service, farm labor and Navy Yard.” It was also noted that “when requested they have taken a part in parades”, which must have seemed like light duty after all the other driving. 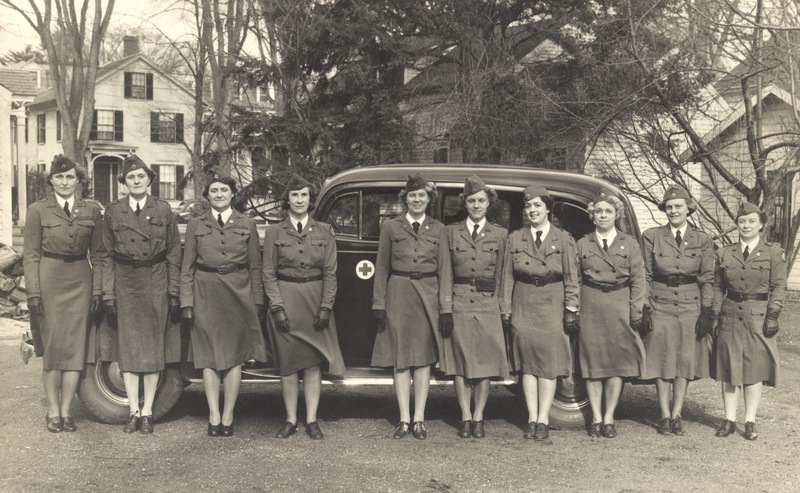 In 1971, the Red Cross retired the Motor Corps service. After having served loyally for just over 31 years, it was felt that the corps was no longer necessary. Helen Stuckey summed up her years of service well, saying “all in all, it was an interesting, rewarding, unforgettable experience,” and a way in which a number of dedicated Exeter women made a tangible difference for the community.